Often abbreviated to Herts, Hertfordshire is a county in the southeast of England. With a population approaching 1.2 million, there’s a wide range of housing to suit all kinds of tastes and budgets, although the property market is generally strong across the county. At My Home Move Conveyancing, we’ve been improving our knowledge of markets like Hertfordshire’s since 2001, allowing us to offer our clients in the area a specialist, fixed fee conveyancing service. If you’re looking to buy or sell property in Hertfordshire, you’ll need to instruct property lawyers to carry out the legal work on your behalf. As your Hertfordshire conveyancers, My Home Move Conveyancing can bring you our award winning customer service, innovative use of technology and a market-leading attitude to what we do. Our conveyancing service comes free from any hidden extra costs, so you’ll know exactly how much you’re going to pay from the start. What’s more, if you don’t end up moving, you won’t have to pay us anything. Each of our clients is assigned a dedicated conveyancer, who’ll look after your case from start to finish, providing you with a consistent point of contact and regular updates on your progress. 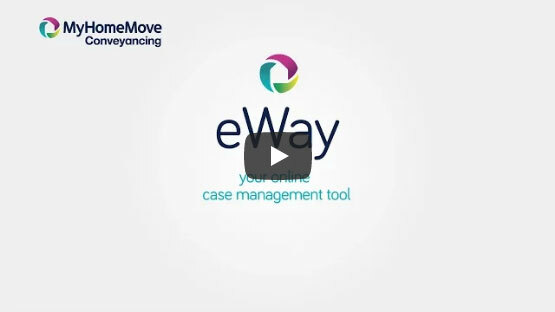 At My Home Move Conveyancing we get things right first time, and give you online access to your account so you can check on things whenever you want. We’re proud to supply our conveyancing services in Hertfordshire to customers across the county, including in towns such as Hemel Hempstead, St Albans, Stevenage and Watford, as well as more rural locations. The average house price in Hertfordshire is £395,445. Detached houses cost the most at an average of £789,348, while semis cost £460,559. Terraced properties average at £342,965 and flats at £255,292. Hertfordshire is packed with history, ranging from Bronze Age settlements to Stevenage’s Six Hills built by the Romans, and swathes of Tudor buildings across the county. Landmarks in Hertfordshire include the Leavesden Film Studios, where parts of the Harry Potter film series were produced. There’s a wide range of places where you can buy housing in the county, including built up towns and rural spots that take advantage of the beautiful rolling countryside. Many parts of the county also benefit from a great location close to London, especially in the south of Hertfordshire. Trains from county town Hertford take around 50 minutes to reach the capital, while it’s just half an hour from St Albans and 20 minutes from Watford to London Euston. The M1, M25 and A1(M) motorways all pass through Hertfordshire, while different parts of the county are conveniently located for airports such as Heathrow, Stansted and London Luton. There’s a large number of schools across Hertfordshire for families with children to choose between, including over 70 state secondary schools and around 25 independent schools. All state schools have sixth forms attached, while there’s a choice of tertiary colleges with multiple campuses. For higher education, the University of Hertfordshire is mostly based in Hatfield and is home to over 23,000 students. All properties in Hertfordshire will fall within one of the following council tax bands, with the charge provided for county town Hertford as an example.